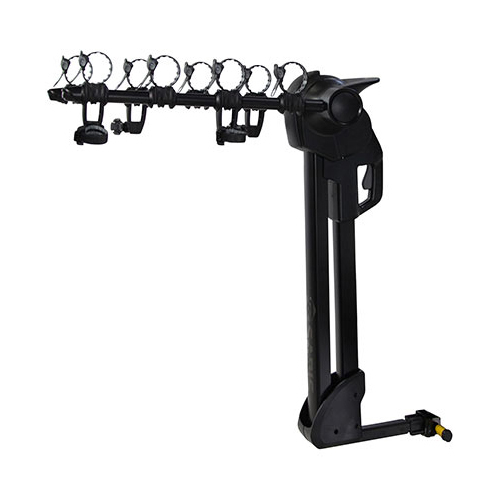 Fits 1.25" and 2" hitches out of box - only use with receiver hitches Class II or higher. 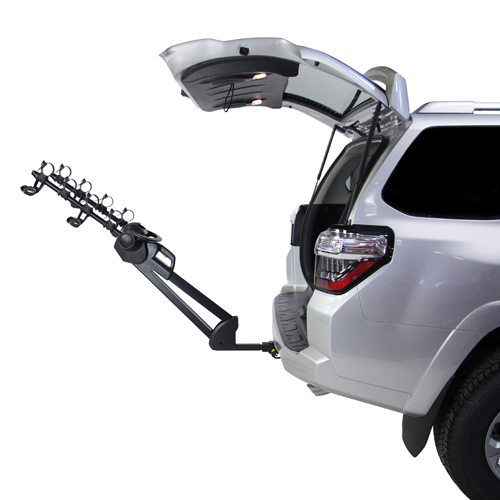 Aluminum Construction - Weighs 37 lbs. 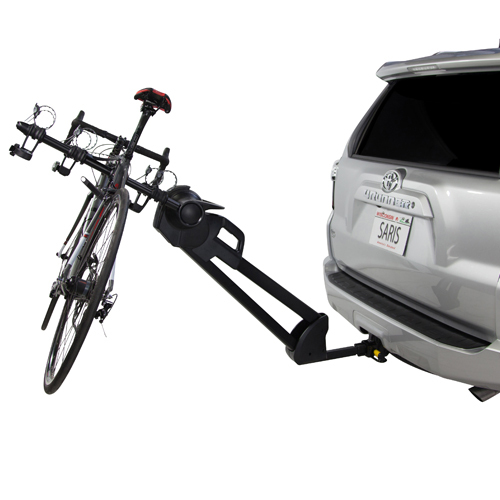 The new Saris Glide EX 4 Bike Tilt Away Trailer Hitch Mounted Bicycle Rack transports up to 4 bicycles. 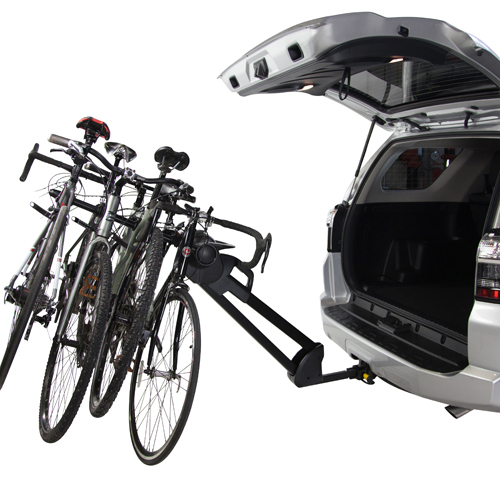 The Glide EX has a convenient tilting feature which allows full access to the rear of the vehicle - even with bicycles loaded. 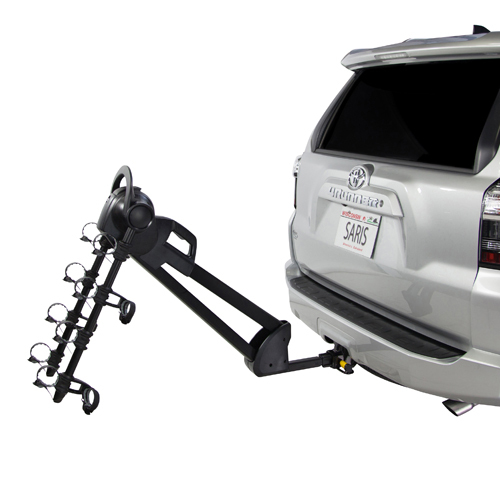 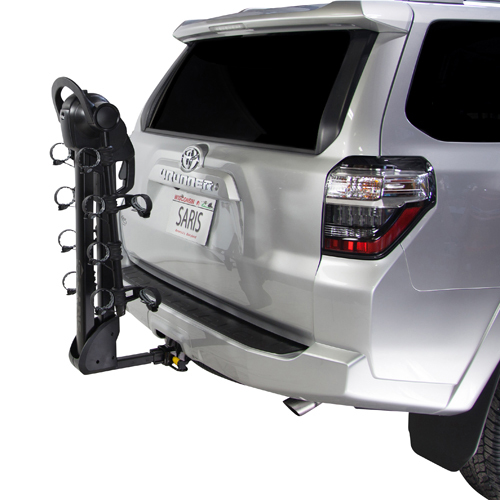 This unique tilting design keeps the weight of the rack and your bikes balanced at all times, allowing you to tilt the rack away from your vehicle and back again with just one hand. 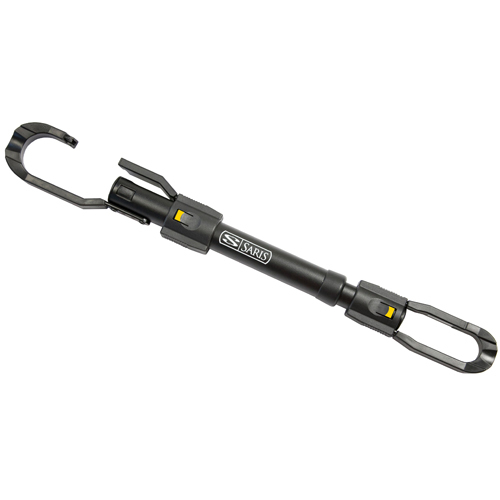 The Glide EX uses low-profile bike hold downs and best-in-class ratchet straps. 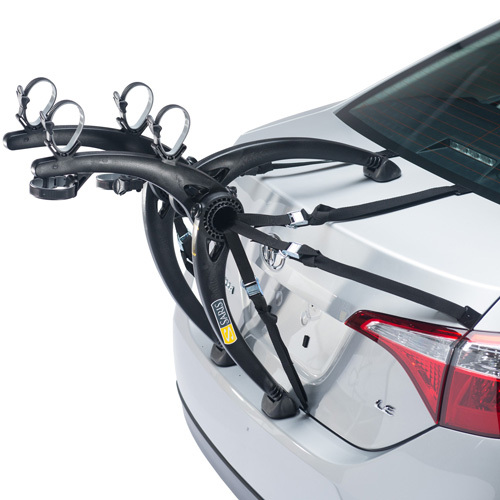 These hold downs carefully cradle your bike and can be easily adjusted to fit a wide range of bicycles. 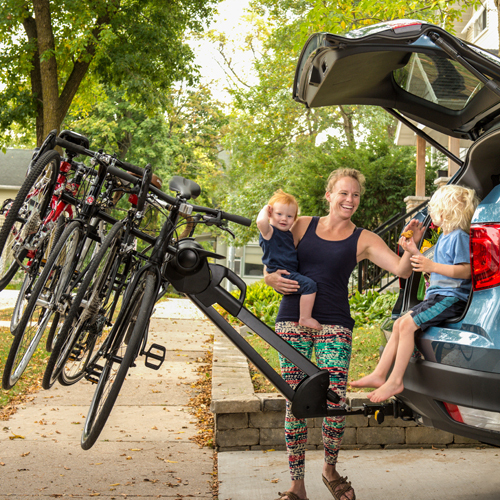 Once bikes are loaded, our ratchet straps snugly and speedily fasten your bike to the rack so you can get where you need to be. 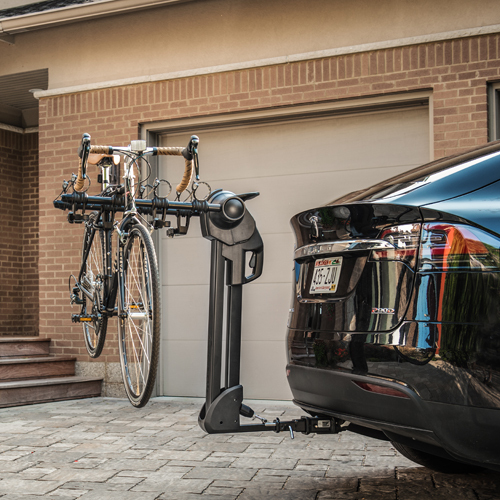 The Saris Glide EX is fully lockable and includes a locking Hitch Pin to secure the bike rack to your vehicle, and an integrated locking cable to secure your bikes to the rack. 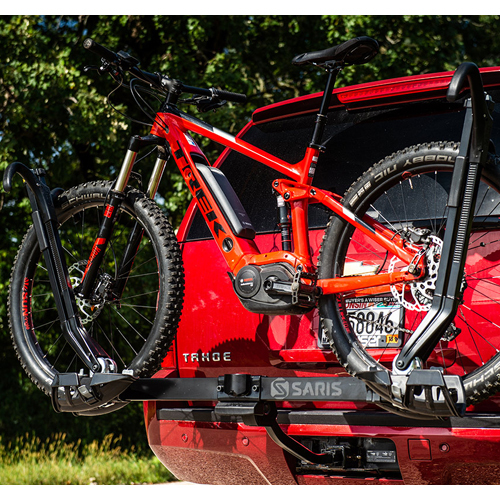 The Saris Glide EX aluminum construction makes for a light and durable bike rack weighing in at 37 lbs.